When I received this beautiful yarn in the mail, it was love at first sight. I don't normally choose blue, but I am currently so drawn to this dusky gray/blue shade. 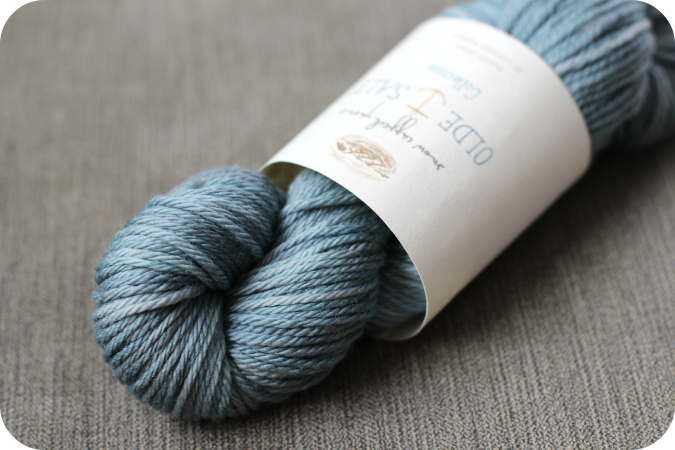 What makes this skein of Snow-Capped Yarns Olde Salt Knight yarn extra special is that it is inspired by the colors of and also hand-dyed in coastal Alaska. I am headed there this summer for a knitting retreat, and I dreamed of my upcoming trip to Cordova while knitting with this yarn. 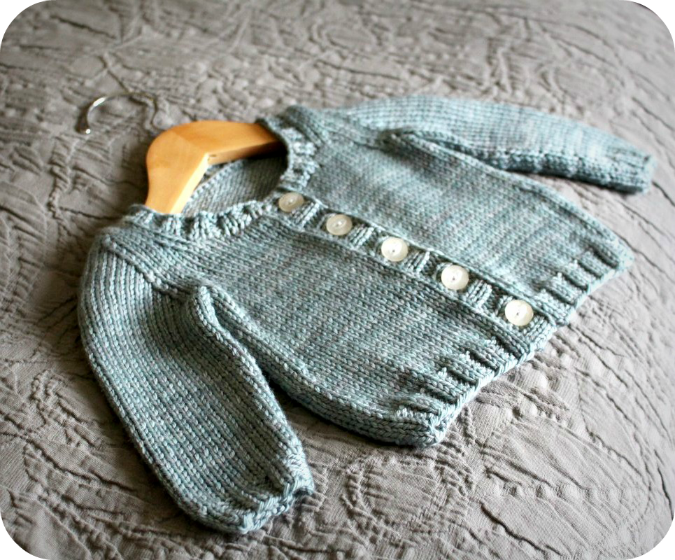 I made up this simple baby cardigan as a sample for my upcoming sweater finishing workshop that I will be teaching this summer. It was so quick to knit and a great project to practice seaming techniques. 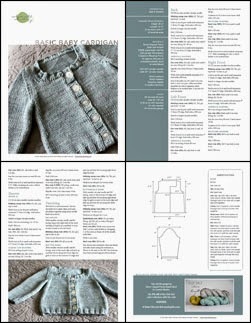 I thought I'd post the pattern for free for anyone who is interested in making one for the little one in their life. 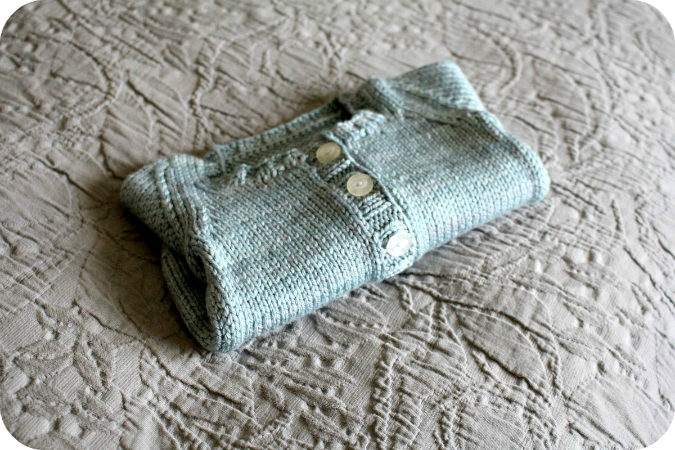 It can be made for a baby boy or baby girl and is just the perfect easy knit for a last minute gift. Embellish it with pockets, appliques, or colorwork for an original look, or keep it clean and classic just the way it is. Click HERE to learn more about Snow-Capped Yarns.